While some shout that the 2018 Pixels should have been stuffed with 6GB or even 8GB of RAM, many wonder if the problem lies elsewhere, like with the battery management system used on Android 9 Pie. For example, the Adaptive Battery feature learns which apps you use often and those you don't use frequently are closed once you're done with it. If you're suffering through this issue, try disabling Adaptive Battery to see if there is a difference. 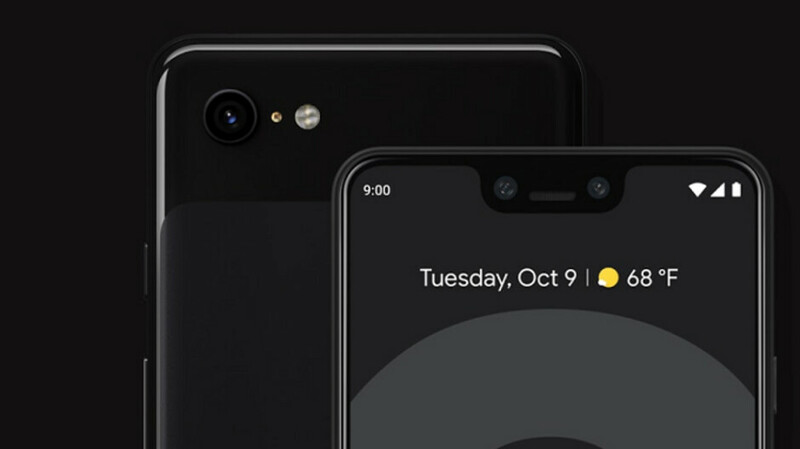 Considering that Google has hiked the prices of the Pixel 3 series, there is plenty of grumbling going on in social media about this problem. It seems just like year, the latest Pixel phones are off to a rough start. Google was able to send out software updates to correct these issues with the Pixel 2 series, and it might have to work overtime to get the Pixel 3 series righted before it is too late. Of course, if this is a hardware issue, it might already be too late. Ooomg the world loosing it mine over memory management. Who cares we will not pick things to Oblivion. Even mkbhd said he was on Spotify listening to music and went to take a picture and it closes Spotify who actually does this? Anyone who simply uses their smartphone and suddenly sees a photo opportunity and decides to take a Pic, whether while listening to lus, web browsing, writing a text, email etc... It's called modern life. I just tried to replicate the error while using Spotify, and all went smoothly. Not saying some aren't experiencing some kind of issue, I would just say this is the few and not the many. All phones have issues here and there. Oh this was on my P3XL 128. You are one of the reasons these manufacturers are getting ballsy releasing expensive, half-baked products. If you pay $1000 and just accept the fact that they relax on quality control, you are a blind idiot. Sure, every phone has some issues at launch, but I can't help to be a bit disappointed when there seems to be a software issue from a phone made by Google. They shoukd have known better. I mean, even Apple had a lot of issues with their launch of the iPhone XS and addressed it real soon, so it doesn't seem to be much of an issue. iPhone XS and XS max has WiFi drop issue and this not a software issue like pixel. They'll fix that on next production batch, no worries. Wait you just stated the iPhone XS had and issue, and in the same sentence said it didn't...SMH! Like all new releases with all phones there are bound to be some issues with some phones. Not to suggest every single phone. I don't have any memory issues with my P3XL 128 running Spotify, and taking pictures, or any other memory related issues. Am I to say this article is a lie just because it doesn't happen to me? Google, apple, huawei or samsung, it doesn't matter. If they release an expensive product, they gotta be useful and polished out of the box. My voice might be small but I will say it: no expensive phones for me this year until manufacturers and "professional" youtube reviewers get their s**t straight. If they're not reviewing retail products, they won't get their views. Looks like going back to nexus line is much better option for google. Android is the culprit. Of course. Here we go again google pixel phone and there issues. And people say, Samsung is taking time to implement latest Android!! Now understand why Samsung Galaxy’s and note line runs with Samsung touchwiz UI with there own services instated of stock android. Agree with that. Google don’t upgrade even the ram to 6 gig of ram at least since the midrange android phones now a days comes with 6 gig of ram cause iPhone xs max comes with 4 gig of ram! Google think that pixel runs IOS not android lol. pathetic google... most overpriced android phones. So these so-called big tech reviewers spend hours using these expensive pixels but problems don't show in their units, only in retail versions? This is the main reason why I don't buy phones reviewed in pre-production stage. I wait weeks or months, small youtubers are late but they review the retails and very nitpicky on gadgets problems I'm calling out google and other manufacturers: your phones are getting expensive each year so make it damn sure that you're releasing products that went thru strict quality controls and not do an EA bulls**t to consumers. I'm also getting problems with my s9 now, very disappointing for the price. I might go back using xperia phones next year, obsolete design (for some people) but very good quality out of the box. If you have slowness issues on your s9, try package disabler (there is an option to disable most of samsung bloat in one go). It has helped make my s8 quite fast. I've done it before, didn't help at all. And not just slowness. Camera hangs, games freeze, saving picture errors headaches, these small things add up. Coming from xperia phones, I was spoiled by sony's bloatware management. Since samsung mobile is bigger than sony, they should have more resources to make everything better than sony. It was a huge difference for me, phone runs more stable as well. But I agree that users should not have to resort to things like package disabler to have performance and stability that should be offered by default. Ditched my s9 last monday, using nokia 7 plus now. Camera is so-so but for daily work use, app switching is smooth and stable. Battery is also consistent and I only need to charge the other day. Doesn't freeze on important apps at all. Just greedy, they should have put at least 6GB RAM. Hello! It's almost the end of 2018! Google pixel team is too focused on their ai camera they forgot ram management and increasing battery size. Adaptive battery is just an alibi so that they will not get criticized with their small battery capacity. Every year I thought of buying pixel device and go back to camp android. But Google is just not serious about Pixels. This year gift to myself might be iphone Xr.